Please click on the links below to access information. Welcome to the Collier County Public Schools Transportation Department. 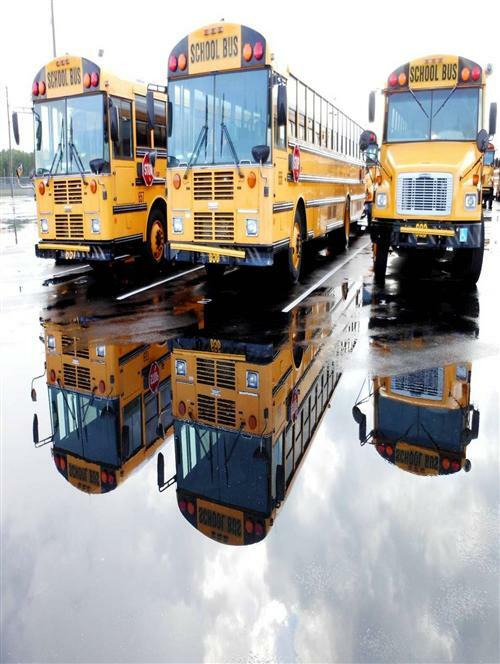 The Transportation Department is made up of 550 employees, a fleet of 364 buses and transports 20,000 students every school day, twice a day. Transportation is provided to students who live more than two miles from school. Behavior expectations on the bus are the same as those found in the classroom. Students are required to utilize assigned buses and stops each morning and afternoon. Exceptions to assignments may be granted on a temporary basis by obtaining written permission from the school. Thank you, we look forward to serving our students. Our email: Transportation@collierschools.com for any questions and/or concerns. For Transportation related emergencies after hours, please call 377-0603 and leave a message with your name and number. Your message will be forwarded to the Late Duty Supervisor who will return your call promptly. Please call the appropriate dispatch number for your zone listed below if you have a concern regarding a late bus or lost and found.